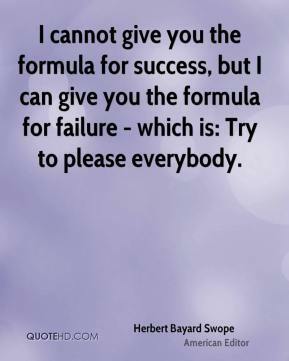 I cannot give you the formula for success, but I can give you the formula for failure - which is: Try to please everybody. 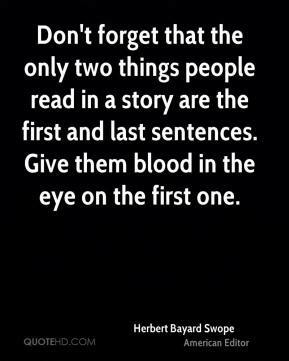 The secret of a successful newspaper is to take one story each day and bang the hell out of it. 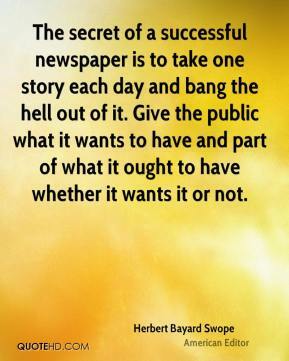 Give the public what it wants to have and part of what it ought to have whether it wants it or not.